As Vice President of Marketing, Elissa Feldman directs the daily operations of the marketing department and manages the marketing team. 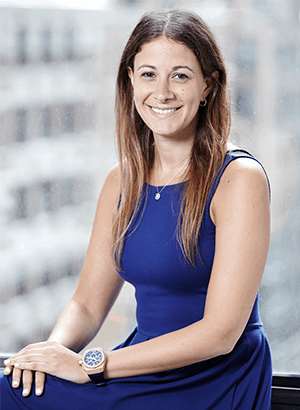 Previously serving as Fora Financial’s Director of Marketing, Elissa’s persistent high level of work led to her promotion in her current role. Prior to joining Fora Financial, Elissa worked at Log-On Computer and Mailing Services, a direct marketing company, where she managed a wide range of clients’ direct mail and fulfillment needs. Elissa graduated from the University of Florida in 2008 with a bachelor’s degree in Family, Youth and Community Sciences. She currently resides in New York City, and enjoys traveling and spending time with her friends and family.